Okapi can be 6 feet tall at the shoulder and up to 8 feet long. Their stripes make them resemble a zebra, but they are relatives of larger giraffes. 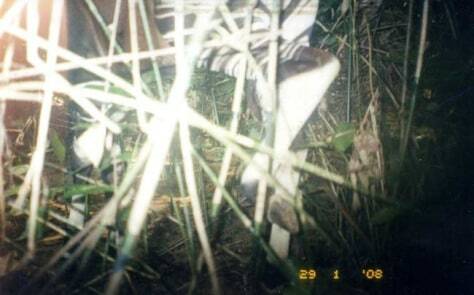 This one was imaged by a camera trap in Virunga National Park.